Diameter 30mm, depth 25mm and cut out 22mm. 3 x 0.12W super bright LEDs. Includes clips for mounting in decking, connector cables and driver. IP 68 rating. 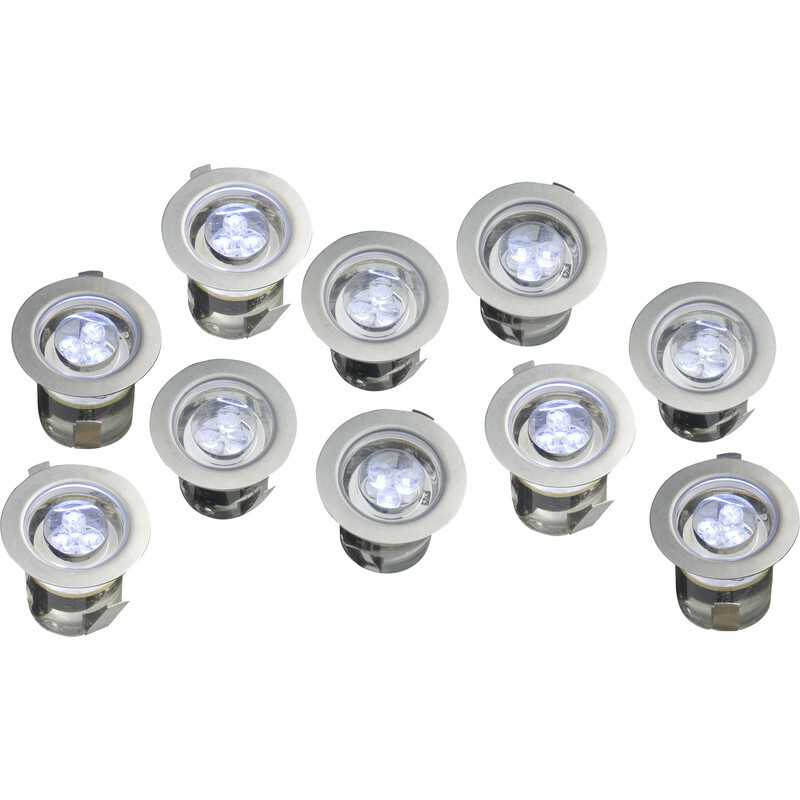 Deck / Ceiling Light Kit IP68 10 x 3 LED White is rated 5.0 out of 5 by 1. Rated 5 out of 5 by Anonymous from Great lights I purchased two sets for my 8x2.5m decking project. Good quality and easy to wire in with plenty of flex on each component. Nice and bright. Tip: buy a 30mm faustner bit (to rebate each light) before drilling the 22mm through hole.